This powerful story about the relationship between Sarah Grimké and her household slave, Hetty—known around the Grimké estate as Handful for her rebellious disposition—explores the rigid social order of early-19th-century Charleston, South Carolina, and the two girls' search for freedom. 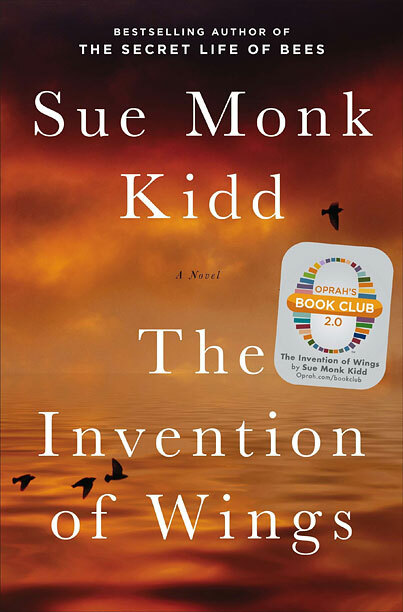 "It is impossible to read this book and not come away thinking differently about our status as women and about all the unsung heroines who play a role in getting us to where we are," Oprah said after picking the novel as the third selection for Oprah's Book Club 2.0. "Survival," writes Absurdistan novelist Gary Shteyngart in his new memoir, Little Failure, requires "replacing the love of the beautiful with the love of what is funny, humor being the last resort of the besieged Jew." 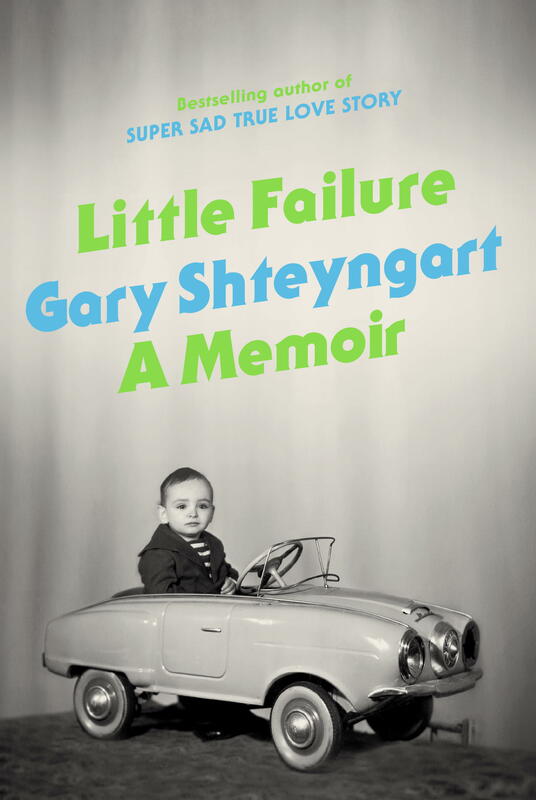 In this richly anecdotal memoir of his family's move from the Soviet Union to Queens, New York, in 1979, and their subsequent (mis-)adventures, Shteyngart makes ample use of his gifts as a humorist. Young Gary, whose name was changed from the Russian Igor at a family council—"Igor is Frankenstein's assistant, and I have enough problems already"—puzzles over his grandma's antiquated television set, which "catches either picture or sound"; yearns in vain at McDonald's for the "sixty-nine-cent hamburger" while his parents and their friends unabashedly spread out their "ethnic meal" of soft-boiled eggs and beet salad; and shares his parents' wild excitement over Publishers Clearing House's promise of millions. But the comedy is bittersweet: Beneath the surface flow the dark undercurrents of a legacy of Nazi invasions, of displacement, of Russia's brutal past. Shteyngart adroitly juxtaposes chilling recollections of a terrifying folk remedy for his childhood asthma and a painful circumcision at age 8 with hilarious riffs on losing his Russian accent and the time his father accidentally took him to see the X-rated movie Emmanuelle, thinking that because it was French, "it must be very cultured." Still, long after the laughter fades, there lingers the image of a lonely, sickly child who learns to write to express a message "both desperate and common": "Please love me." The American dream was born of Europeans immigrating to a new home, one free from oppression and ripe with opportunity. 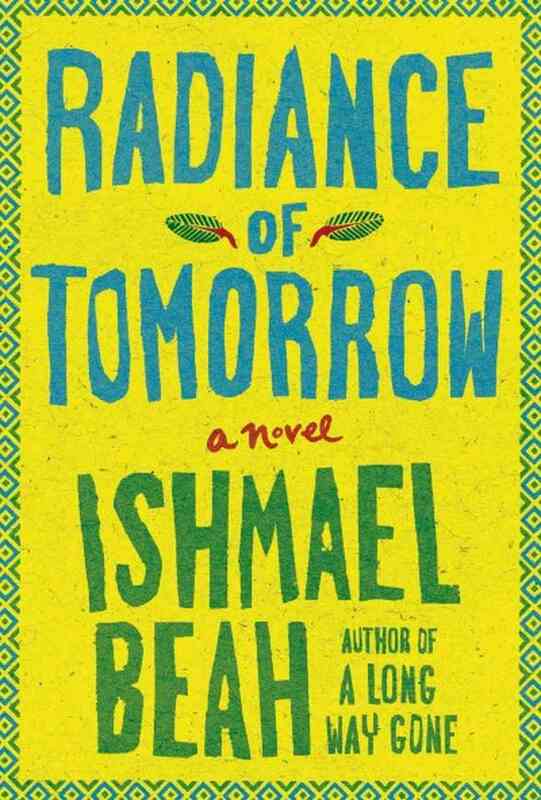 The characters in Ishmael Beah's affecting debut novel, Radiance of Tomorrow, also dream of a home—though for them the dream means reclaiming Imperi, Sierra Leone, the tiny village that sustained them for generations, now in the grip of inexorable change. And therein lies the conflict that will make you care about what happens to them. Imperi is a dusty West African outpost much like the ones the author wrote about in his best-selling book, A Long Way Gone: Memoirs of a Boy Soldier. There, war's survivors regroup to rebuild and resuscitate their families, their homes, their futures. Among the appealing characters who populate the tale, which reads like an allegory of the fits and starts of "progress," is Bockarie, a teacher who, with his wife, Kula, has managed to keep his family alive despite occasional separations and stays in refugee camps. There's also Bockarie's friend Benjamin, who abandons teaching to work for the new mining company that is simultaneously reviving and ruining Imperi and posing a moral dilemma for those who yearn to re-create the past but must accept change in order to survive. There are people who give in to corruption without resistance, and others who hold out for as long as they can. A school principal named Mr. Fofanah belongs in the first category. He funnels the government money he receives into extravagant purchases, while students go without textbooks and teachers get paid only a small portion of the wages they're entitled to. He explains his actions by observing: "Where a cow is tied is where it grazes." But there is hope for the next generation, as the children and grandchildren of the elders "find a way to repair their broken hearts by relighting the fire that is now dull within them," as "old wisdom and new wisdom merge, and find room in the young." 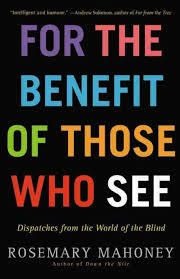 Perceived throughout history as ominous soothsayers, helpless idiots, or louche vagrants and beggars, blind people, as Rosemary Mahoney dryly notes in her sparkling exploration, For the Benefit of Those Who See: Dispatches from the World of the Blind, "have not come off very well." Mahoney, a gifted writer whose previous work includes the highly praised Down the Nile: Alone in a Fisherman's Skiff, sets out to turn the tables on these stereotypes, and the lack of understanding that prompts them in the first place, using herself as case in point. She finds, for example, that the blind students she encounters often form more detailed and accurate impressions of her than she does of them. The sighted base their assessments of people largely on appearance, according to Sabriye Tenberken, the remarkable woman who first brought literacy to the blind in Tibet and is one of the subjects of the book. The sighted can be distracted by beauty, or its absence, Tenberken says, whereas the blind "have to focus on the personality, which is the real essence of the person. It can be an advantage for us." Before meeting Tenberken, Mahoney had spent time with only one blind person and was convinced that she'd prefer death to losing her sight. However, by the end of her journey, which takes her from Tibet to Liberia and through the history of blindness, she begins to experience the world in all its "beautiful darkness": the lowing of cows, the rattling of the wind in palm fronds, cool lake water against her skin. "Sight is a slick and overbearing autocrat," Mahoney concludes, "trumpeting its prodigal knowledge and perceptions so forcefully that it drowns out the other, subtler senses." When you finish the book, walk outside and close your eyes. You just might meet the world again, startling, mysterious, new. 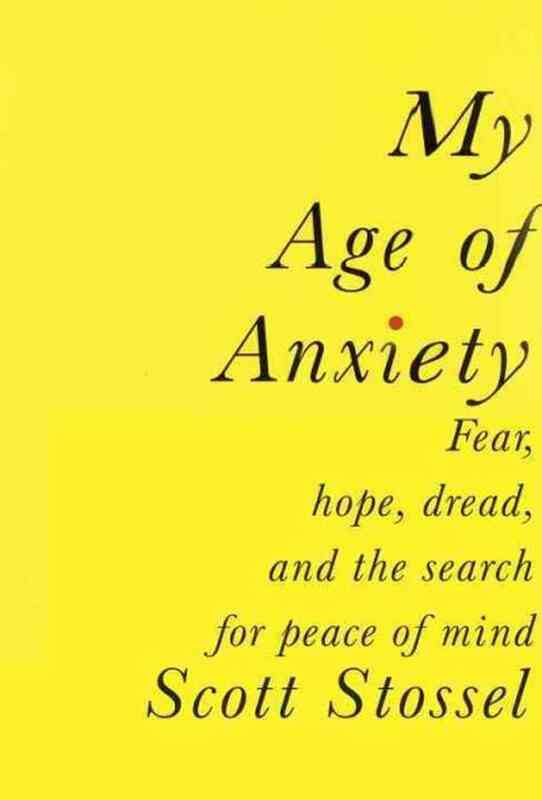 By some estimates, more than 25 percent of Americans can expect to suffer from clinically diagnosed anxiety, which is why My Age of Anxiety: Fear, Hope, Dread, and the Search for Peace of Mind, Scott Stossel's erudite, heartfelt and occasionally darkly funny meld of memoir, cultural history and science, feels excruciatingly relevant. Stossel aims to better understand his own stressed-out state of mind while also tracing the condition's history from Hippocrates (who saw it primarily as medical in nature) to Freud (who viewed it as psychological, with its roots in sexual inhibition) to modern times. Whether in its most severe form, as in the author's crippling version that is "woven into my soul and hardwired into my body and...makes my life a misery," or in the less debilitating manifestation many of us have known from time to time, anxiety is now an omnipresent, extensively medicated syndrome that may be a result of a brain malfunction or a product of our environment—no one knows for sure. But Stossel's harrowing account of his own experience with phobias—among them claustrophobia, acrophobia (fear of heights), asthenophobia (fear of fainting), bacillophobia (fear of germs) and aerophobia (fear of flying)—strongly suggests that this is a disease without a cure. Stossel, the editor of The Atlantic, is a wry, if distressed, chronicler of his own history and that of psychopharmacology. It's been a long and in many ways frightening journey for him. Still, near the end of the book, in a chapter titled "Redemption," Stossel attempts to see the upside of anxiety—the links between it and creativity, productivity, morality. His therapist advises him to give himself more credit for being resilient, and it seems he does. He concludes with the hope that "admitting my shame and fear to the world" will ultimately be "empowering and anxiety reducing."